Lavazza Italian Film Festival is almost here! Presented by Palace in conjunction with Luna Palace Cinemas, the 18th Lavazza Italian Film Festival (LIFF) will screen at Cinema Paradiso and Luna on SX from September 21 – October 11, showcasing a huge program of Italian cinema. The festival will kick off in spectacular style with an Opening Night Gala screening at Cinema Paradiso of the Italian Golden Globes award-winning comedy LET YOURSELF GO!, starring Toni Servillo as the uptight psychoanalyst Elia, whose life is upended when he becomes involved with the effervescent personal trainer Claudia (Veronica Echegui) – a woman well-versed in matters of the body but less so of the mind. The film will be followed by an after party with Italian food, wine and live entertainment at Connections Night Club. Luna on SX will also celebrate with an Opening Night Reception with Italian food, wine and live entertainment before the film. LIFF is thrilled to announce Milan-born Italian/Australian actor Greta Scacchi as this year’s Festival Ambassador. Scacchi will participate in Q&As at selected festival screenings of TENDERNESS (LA TENEREZZA), Gianni Amelio’s latest film, in which she features. Best known for her AFI Award-winning performance in Looking for Alibrandi, Scacchi also made a name for herself internationally in films such as White Mischief, Presumed Innocent and The Player. There will also be a special event screening of DALIDA, Lisa Azuelos’ glitzy biopic of the acclaimed music icon who gained celebrity in the 50s, singing in Italian, French, Spanish, Arabic, Hebrew and German. Gather your friends for a bellisima night out with a pre-screening reception at Paradiso featuring a Molinari Limoncello cocktail on arrival and live music. LIFF Closing Nightwill feature a special 20th anniversary screening at Paradiso and SX of Roberto Benigni’s Best Foreign Language Oscar winning classic LIFE IS BEAUTIFUL (LA VITA È BELLA), with pre-screening Campari Aperol spritz, Stella Artois and Connoisseur gourmet ice cream. Festival highlights include Edoardo De Angelis’s (Perez, LIFF15) David di Donatello Award-winning INDIVISIBLE (INDIVISIBILI), the story of conjoined twin sisters exploited by their father, who makes money from their singing.which will feature as the festival’s Centrepiece film; FORTUNATA, starring Jasmine Trinca (Wondrous Boccaccio LIFF’15) in a performance that earned her the Best Actress Award in Un Certain Regard at the Cannes Film Festival; and EMMA , by Silvio Solidi, the director of the beloved hit Bread & Tulips and starring Valeria Golino. Language-teaching schools are also invited to special screenings of FROM NAPLES WITH LOVE(TROPPO NAPOLETANO), a joyous romantic comedy about a young boy and his psychologist. For the first time Palace will also present a new initiative as part of the 2017 LIFF with six outstanding Italian films in official competition for the Bulgari Critics’ Choice Award. 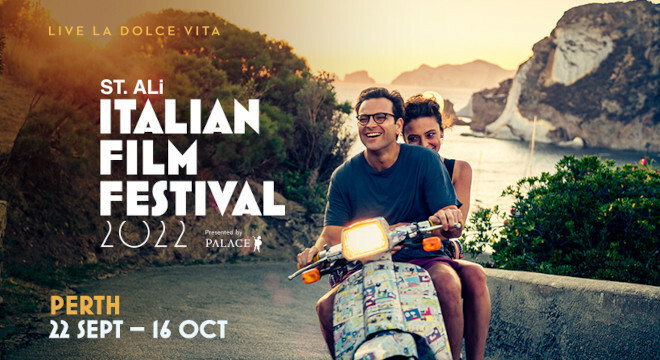 The winning film will be decided upon by a jury featuring Italian born Australian actress and Festival Ambassador Greta Scacchi, Radio National film critic Jason di Rosso, director Ruth Borgobello, actor Daniela Farinacci, actor Damian Walshe-Howling and Bulgari Australia Managing Director Brad Harvey. The Lavazza Italian Film Festival is is sponsored in Perth by The West Australian. A Roast to Remember – loved my Sunday Roasts!